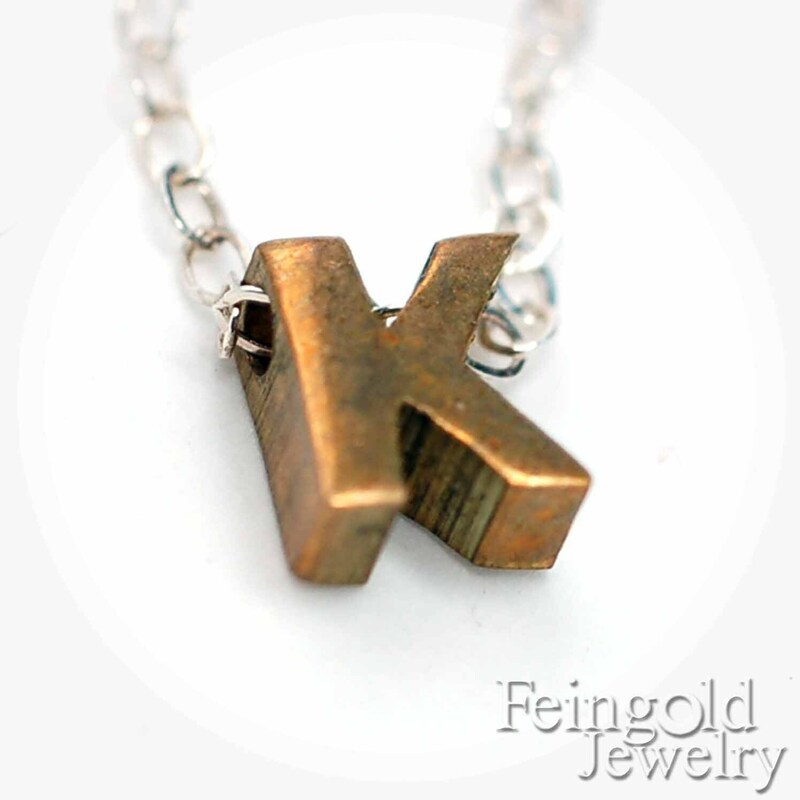 This necklace is comprised of one itty bitty perfectly oxidized brass vintage letter suspended on a sterling silver chain. This is the sweetest and most delicate necklace. If you want a different letter or if you want a shorter chain, just leave a note to the seller when you check out. If I don't hear otherwise, I will send you the letter shown in this listing. Love it , love it! Yes, it came when expected. So happy with my itty bitty "K"!